Democratic Republic of Congo's health ministry on Tuesday declared an end to an Ebola outbreak believed to have killed 33 people, after 42 days with no new cases. That helped contain the impact of the virus even when it reached the city of Mbandaka. With a population of 1.5 million, it has frequent air and river links to Congo's sprawling capital Kinshasa. 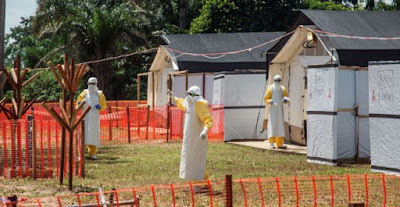 "I declare from this day... the end of the Ebola ...epidemic in Equateur Province, Democratic Republic of Congo," Health Minister Oly Ilunga Kalenga said in a statement.